Welcome to my blog. I write for the Adventure Seekers, Stylish Travelistas + Gypsy Souls of the world! I hope you enjoy my little corner of Wanderlust Wisdom! Enjoy your stay and visit again! A blog for the Stylish Travelista to Adventure Seeker or all around Wanderluster! Two years ago I embarked on a Peruvian adventure, thus fulfilling my childhood dream of seeing the beautiful ruins of Machu Picchu. My trek encompasses stops in Cusco, Chinchero, Pisac, and Ollantaytambo, Lima, Ica and Huacachina. This is part one of my incredible journey through southern Peru which began in the Sacred Valley of the Incas. A couple friends and I began planning a few months prior and with luck, we found roundtrip tickets for less than $500 on Delta Airlines direct from Atlanta to Lima landing around 11:45 pm. Landing that late posed a challenge of where to stay for the few hours until our 8:00 am flight to Cusco. Airbnb was the best option and we found the perfect place. They were just 15 mins from the airport and provided reliable transportation, wifi, and a small breakfast snack to go. The city of Cusco, sitting at an elevation of 11,200 ft, was the base camp for our expedition throughout the Sacred Valley. 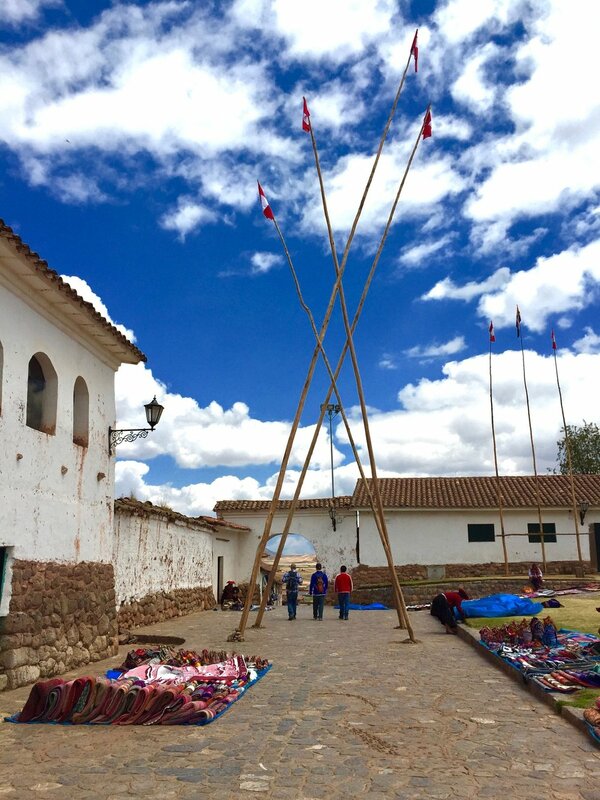 It was here that the Incas ruled from the 13th until the 16th-century Spanish conquest and where we began to really explore the history of the Inca Empire. Now, there are several ways to get to Cusco from Lima, one of which is by way of Bus and/or train which seemed very complicated and time-consuming averaging around 19hrs. My friends and I chose the easiest way with roundtrip tickets on StarPeru Airlines. The flight cost averages around $150 round trip and flight time was a quick hr and 20 mins. While not the most luxurious of places to stay in Cusco, our accommodation at Hotel Cusco Plaza Saphy was still this unique 19th-century colonial mansion preserving its traditional architecture. It's the perfect place for people passing through Cusco on their way to or from the Inca trail looking for a hot shower, and comfortable stay. The friendly hotel staff welcomed us and showed us in the lobby where we could find hot coca tea throughout our stay. The coca tea is made simply by placing the dried coca leaves in hot water, its taste is similar to that of green tea. It's said to also be a natural remedy for the effects of high altitude. The hotel was only a 3-min walk to the historic town center, it provided free wifi in the common area and a hot breakfast buffet. Our first day in Cusco was spent admiring the beauty of the city. Rich in its history with buildings made of stone sprinkled by brightly colored doors and rows of local markets, was nothing less than exquisite. We indulged in local cuisine such as fresh ceviche, alpaca steaks, delicately paired with the infamous pisco sours for our first lunch at Andean Grill Restaurant. Later that evening we choose to keep up the laughter and comradery by having cocktails at a bar on the square called Mushrooms Lounge. The drinks and atmosphere were a perfect way to close out the evening. Morning came fast for us, but we were too excited to let the lack of rest keep us down. We hopped in the tour van with our guide Miguel, and set out for the day. The Sacred Valley was our destination. We enjoyed the love he had for his country and the excitement he had in sharing his knowledge and history of the Sacred Valley. Our day was filled with stops in multiple local villages. Our first stop was Chinchero, the land of great weavers, and some believe the birthplace of the rainbow. The striking white mud walls, cobblestone streets, and vibrant pops of color from the market provide a beautiful contrast to the green terraces and the Andean Mountains in the backdrop. It was said that Inca Tupac Yupanqui, would stay here as a country resort. The local women invited us to learn about traditional Andean textiles and the process of creating such a rainbow of colors from the wool of the Alpaca & Llama. The brick ovens topped with boiling pots were filled with plants, thus providing natural dyes. After watching this amazing process, the women rightfully proud showed off their work. They allowed us to take some photos, and as a courtesy, we purchased some great pieces to take home. The Chinchero Market is held most days, but the best way to catch the buzzing locals is on Sunday. Our next destination was the historic ruins of Ollantaytambo. Being the gateway to the Amazon corner of Inca Empire, many tourists begin their long journey of the Inca Trail to Machu Picchu here. The ruins known as Temple Hill were considered a fortress, and a retreat for Inca Manco during the Spanish invasions. As we began the climb up the stairs of the fortress we could feel just how large this structure was. I'm an average height, and most of the terraces remarkably stood taller than me. At the top, I could see how high we had climbed, and upon entering the Temple of the Sun the view was just magnificent. Walking through these ruins reminded me of why I was so intrigued as a child. The Wall of the Six Monoliths was part of the unfinished temple and contained 6 pieces of stone, each weighing around 50 tons. How were they able to build such temples? On our way back to Cusco, we grabbed a late buffet style lunch at this little place with traditional cuisine. 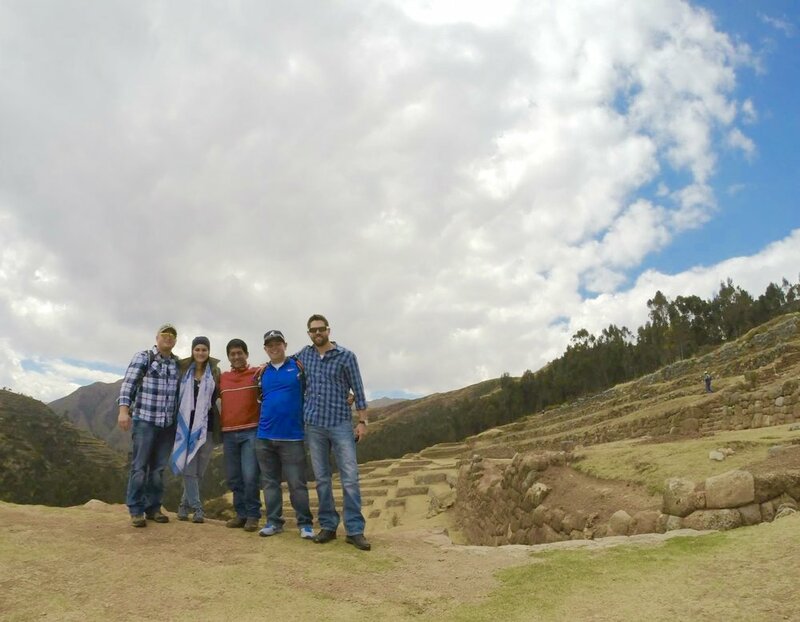 Miguel, our guide, told us this was his favorite place to take his groups to, its somewhere between Ollantaytambo and Pisac. Pisac, which was our last stop of the day is where we watched the sunset over the Sacred Valley. These ruins could rival anything at Machu Picchu, and free of tourists at this time of day. Our guide, Miguel, was so pleased that we got to see these ruins essentially without the chaos of tour buses. We drove up from the village below, then parked at the small car park at the top. From here we walked, it was getting cold at this point. We didn't stay too long but seeing the sun hit the valley was unbelievable. This ancient Inca Citadel sits on a triangular plateau with terraces sweeping the natural slopes of the mountains and opposing plunging gorges on either side. Looking across the Kitmayo Gorge you can see holes punctured along the cliff walls. Formerly accessible to tourists, these holes are ancient Inca tombs now off limits due to modern grave robbers. After watching the sunset we piled back into our tour van and made the hr drive back to Cusco. Miguel was such a delightful tour guide. He was knowledgeable, genuine, and passionate about the day we spent with him. I highly recommend him to show you around if you are looking for a guide. If interested please email me, I will gladly pass his contact information along. That evening we grabbed dinner on the square in Cusco, and finished the night off with cocktails at the worlds highest Irish pub, Paddy's! Thank you for becoming a Nomadic Threadster!